Toronto beatsmith deadmau5 has become one of our country's biggest musical exports, as the producer also known as Joel Zimmerman has earned a massive worldwide following with his club-oriented bangers. Given his propensity to facilitate hedonistic dance parties, it's only fitting that Las Vegas is dedicating an entire day to the mouse-eared electro star. 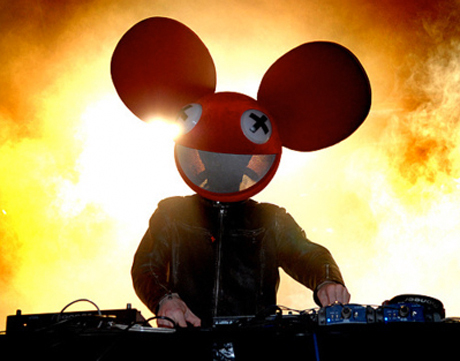 As AUX points out, Las Vegas Mayor Carolyn Goodman has officially pronounced January 2, 2012, to be deadmau5 Day. This coincides with Zimmerman's new residency at the city's XS Nightclub. XS co-owner Jesse Waits said, "The following for deadmau5 is phenomenal, and I applaud Mayor Goodman for recognizing both his remarkable persona alongside his ability to drive visitor traffic from fans travelling across the globe to experience his live sets." As a Canadian musician with a Las Vegas residency, deadmau5 joins a slightly dubious club that also includes Celine Dion, who is performing regularly at Caesars Palace. Can't you just imagine Joel and Celine hanging out after their shows and reminiscing about their home and native land? In related news, Zimmerman has shared a new track called "Swinged" that's reportedly from a deadmau5 side-project. Listen to that below.